Domestic Moose: Stop, just... stop. Did you know it's already May? Well, it will be tomorrow anyway. May. I suppose that means I need to set a goal for May for a lovely year of finishes. In the interest of continuing to finish Unfinished Projects, I'm planning to finish this sucker. I have backing. I have batting. It will be quilted! Also, a few months ago (yeah, I'm slow and late) I was the lucky winner of a giveaway from Dee's Doodles. 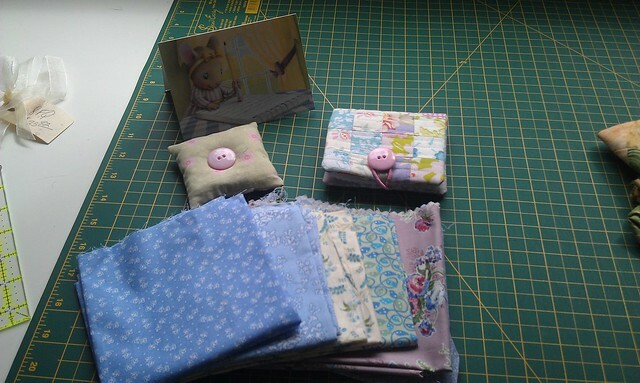 I was the recipient of a needle book, pin cushion and some great pieces of fabric. I love the needle book and really appreciate the giveaway. Thanks again! Now, as to the rest of my quilting? Yeah. I've made some progress on the triangles and that's really it. I'm just not feeling it. I'm not feeling much of anything lately. The good news is I've received and accepted an offer for a new job. I'm looking forward to it and dreading it at the same time. It took me a week to decide to accept the offer because it's in a bit of a backward path for me and it required much thinking about the direction I want to go. And I may regret it. But whatever, there it is. 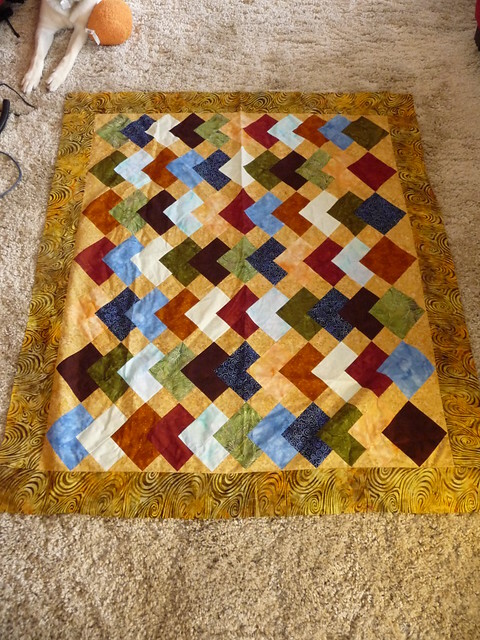 What I do regret is the lack of time and energy I've had for quilting. Drinking beer and watching Murder She Wrote and Bones is far, far, FAR less productive. So here's hoping that now that I have a resolution and a small break between jobs, I find my quilting motivation again and get moving on quilting AND my blog. Hope you feel better soon and getting that quilt done should help - it is so fun and cheerful. I hope everything is going well for you and that your absence means you are busy and happy!